We’ve been autumning REAL hard. So hard that this is now my second post about fall. Is there any other season that sets such high expectations for appropriate/required activities? If you don’t like the beach, summer gives you a pass. Not a skiier, winter lets it go. Don’t like spending 2 months deciding what coat you’re supposed to wear every morning? Spring doesn’t mind because it understands that it’s confusing. But fall? Oh fall, you delightful demanding minx. Thou must apple pick, and pumpkin carve, and pie bake, and football watch, and Halloween DIY, and Thanksgiving stuff. And this fall, oh this fall we are passing the test and doing ALL the toddler activities for fall. Kids will do that to you. First on the list of toddler activities for fall, the pumpkin patch. I took the kids to the pumpkin patch solo because I’m inherently brave and insane. Arriving at the patch with two toddlers in tow, I realized that it was cash only. 70 cents a pound. And I had $15. 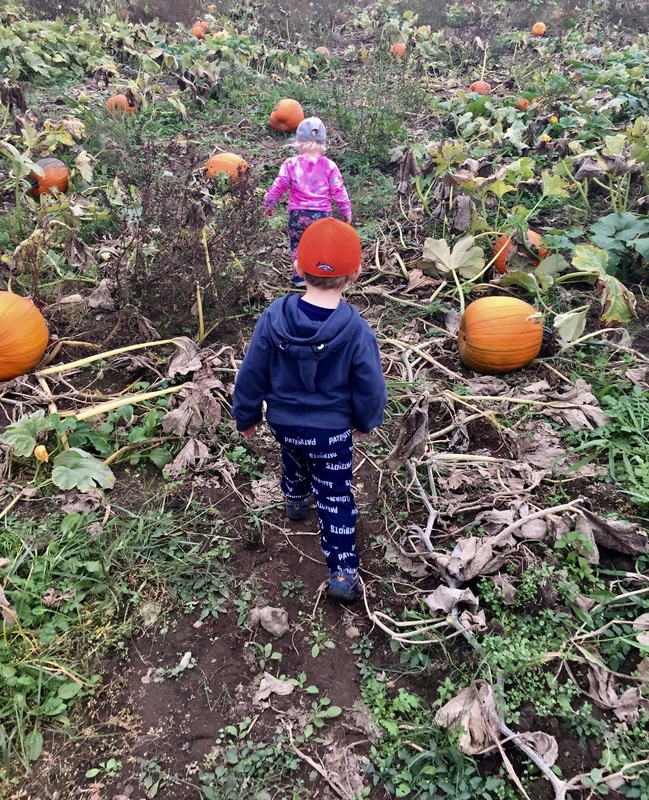 After some quick math, I figured that my toddlers couldn’t possibly lift pumpkins weighing over 21.42 pounds so we ventured out into the patch. The kids were awesome though. Norah navigated roots and stems with dexterity FAR beyond her year. 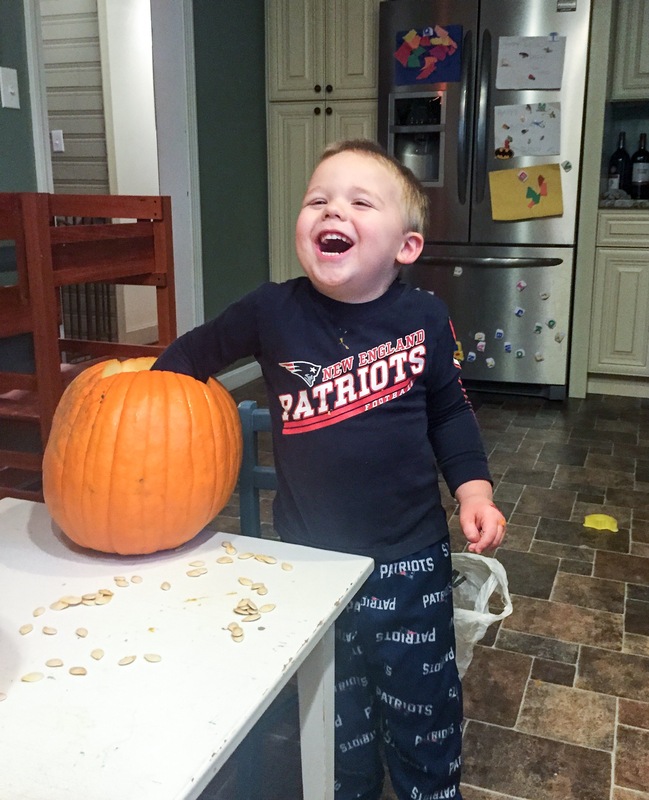 Jack practiced his parkour skills jumping over pumpkins larger than our house. And Norah even led us to a part of the patch with zero people and 1 million budget friendly pumpkins. AND Jack somehow sweet talked the farmers into giving us 3 extra pumpkins for free… I give this trip 5 stars and my kids 11 stars. By mid October The Keepers of New England Fall Tradition had left us SEVERAL threatening notes in the mailbox so we really couldn’t put it off any more. 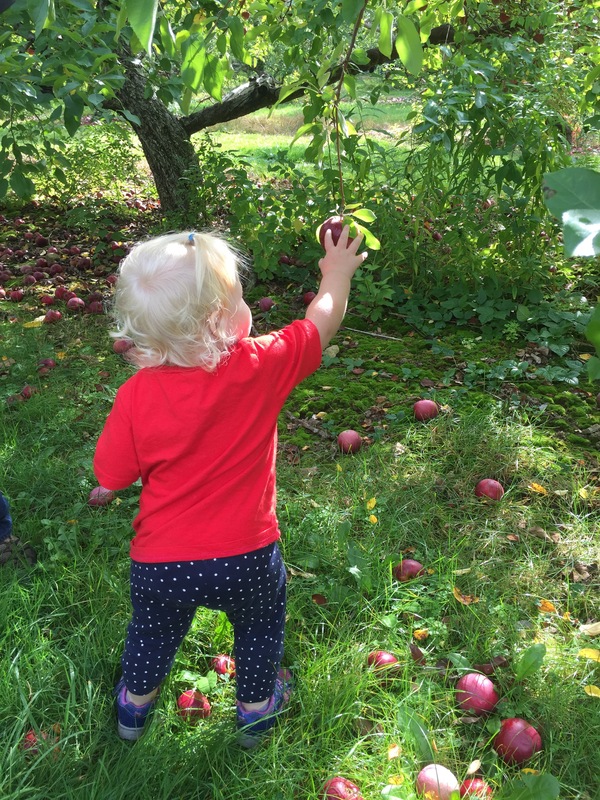 Time to go further down the toddler activities for fall list and hit the apple orchard. Did I learn my lesson from the patch and anticipate that the orchard would also be cash only? Of course not. Cue me driving back home to get our check book while Glen attempted to keep the tiny troops from mutinying for 20 minutes. 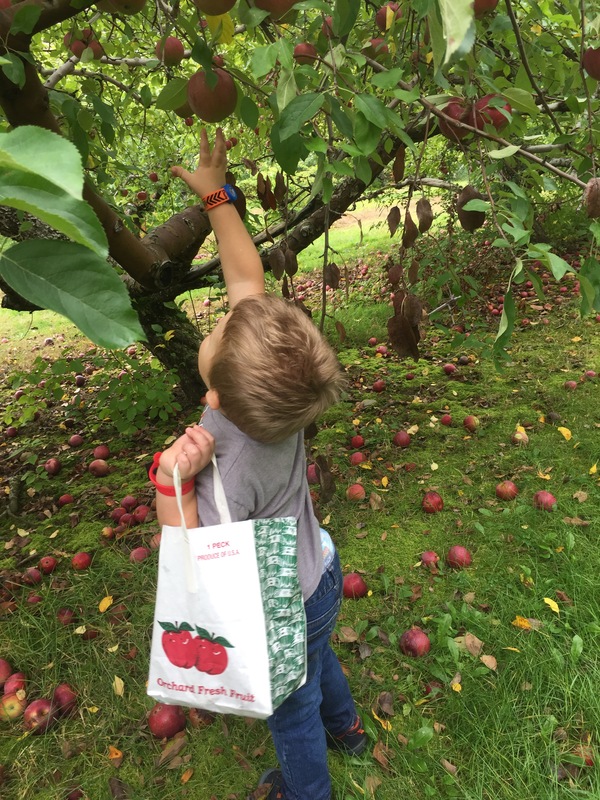 Minus the whole bringing money snafu, apple picking was lovely and we took 1 million pictures of our kids picking apples off trees. Serious question though, what do apple orchards do with all the apples that have fallen on the ground? Those ones made me sad. The best part of the whole adventure was making the apple pie. Jack took his role as pie baker very seriously and did a killer job handing me apples, pouring ingredients into a bowl, and licking sugar off his hands. When it came time to eat the pie later he said one of my favorite things that has ever been said. 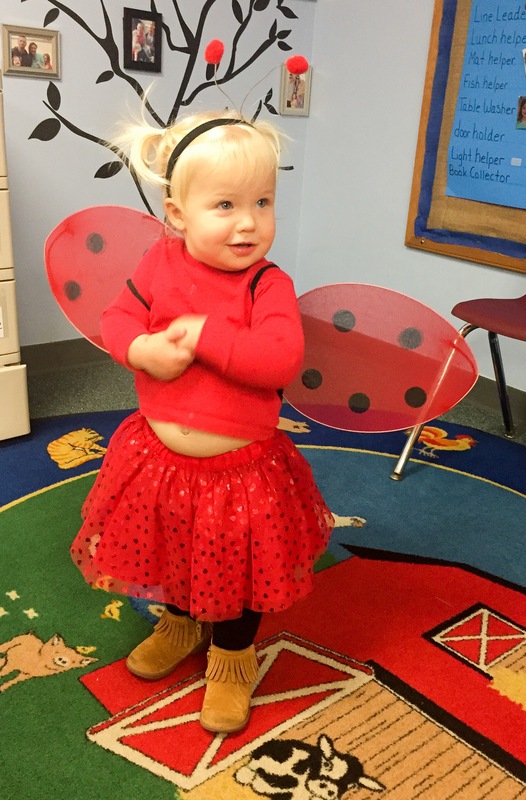 Rounding out the toddler activities for fall recap, for now, is Halloween. I adore most things about this holiday, except trying to explain to my toddlers why scary things are fun. It’s a stranger! In a creepy mask! And we’re going to go to his house! Oh that dog skeleton standing menacing over the lighted Christmas reindeer decoration lying on the ground in our neighbor’s yard? Yay! It’s fun! But 98% of Halloween stuff was fantastic. And these adorable little creatures melted my heart 13 thousand times. The joy! The marvel! The laughter! The expert side eye! They are awesome. There’s still a lot of fall left. 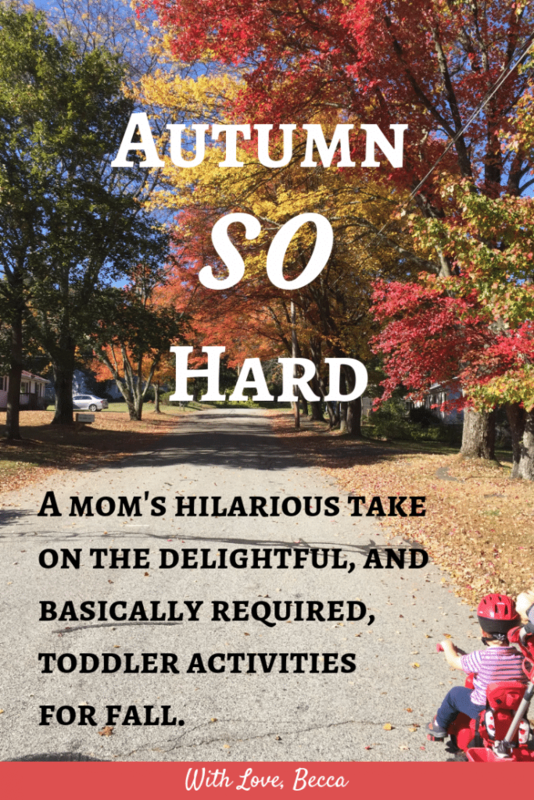 And lots of toddler activities for fall that I probably missed. So before the fall is up, I’m sure I’ll be back with a list of things I am thankful for. Or a story about how our marriage survives year after year of Patriots vs. Broncos games. Or a diatribe against mashed potatoes. Unclear. Stay tuned. #FFF (Fall Friends Forever)? Follow along on the book. Want to convince my husband that this is a net positive budget friendly hobby? Use this affiliate link to buy something from Amazon . You probably need paper towels , or a lamp , or Miss Congeniality 2: Armed and Fabulous on DVD. (No judgement.) Thanks for supporting With Love, Becca! My takeaway here is that you live ten minutes from an apple orchard. That’s kind of cheating, don’t you think? The hour long drive with bored child(ren) is part of the magical memories. It’s true. Living out in the sticks puts us at a clear fall advantage. The pumpkin patch is even closer somehow. I can’t tell you how much happier that makes me. Cheers to that! The orchard we went to fed them to the animals on the farm. Nothing goes to waste! That works well too…although I *love* cider, so I always hope for that!! Toddlers Moms – Unite!! Thanks for stopping by for some laughs! SO many fall requirements! We’re trying to check the boxes, too. I feel like s’mores is on the list – it’s a fall thing, right? Bonfires and s’mores? 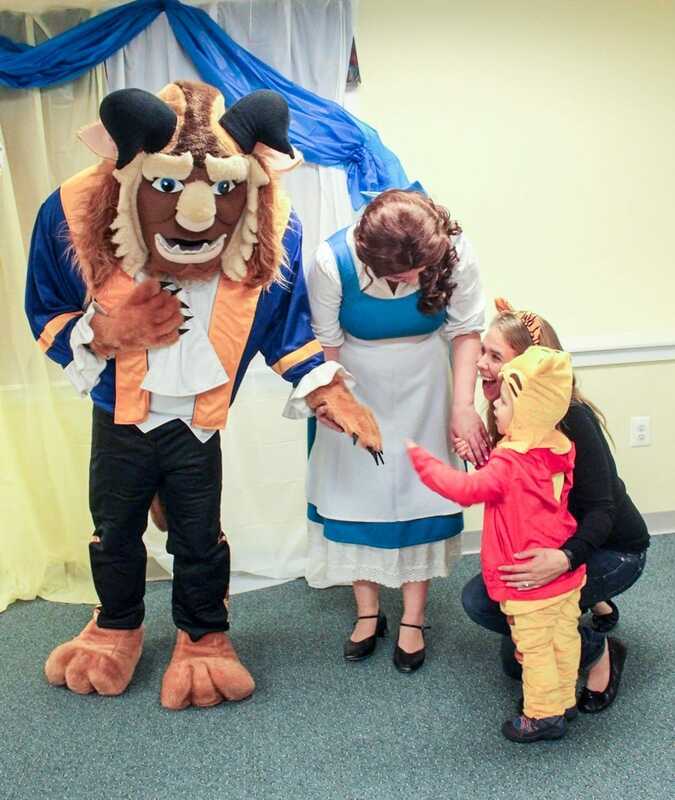 Yes, so Halloween is probably really freaking confusing for young kids. Dress up for a day, hit up strangers for candy (EXACTLY what we tell you NOT to do 364 days a year), and “like” scary moaning/bleeding/booing creatures. No thanks. How soon is Christmas?! Oh mannnnnn I want a s’more now. Also, yes, give me all the happy, joyous Christmas! Haha this is so funny and so true! At least your trip to thenpumpking Patch sounds successful – ours was pretty disastrous and of course on full display on the blog for everybody to have a giggle at our misfortunes! 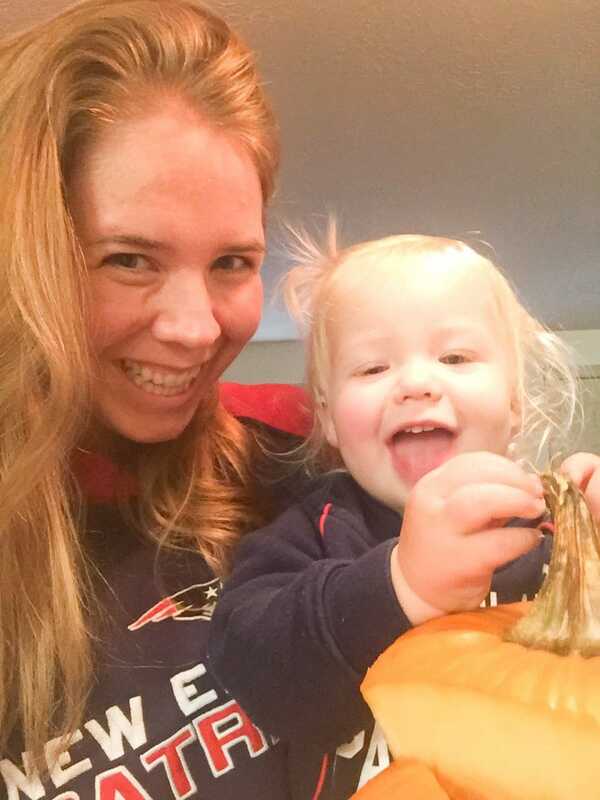 Loved your pumpkin patch post! 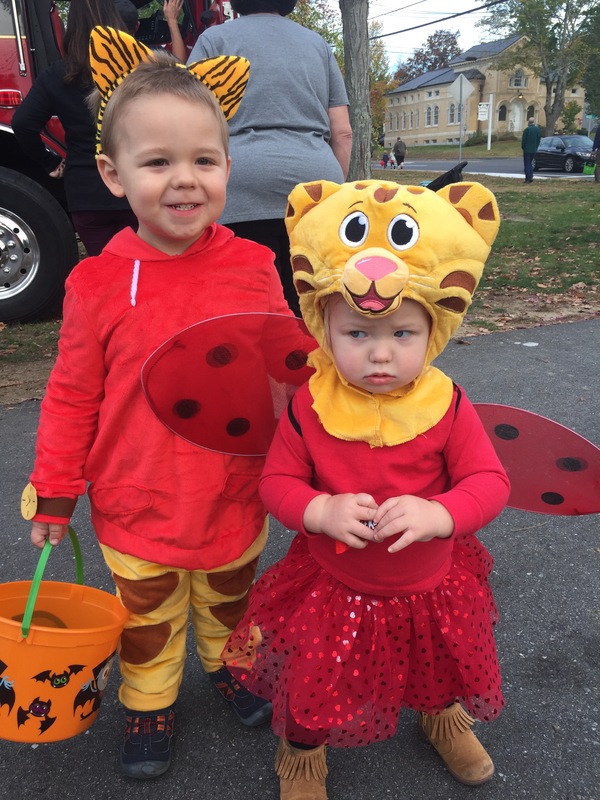 Yup, a Daniel Tiger and a little sister who really wanted to try on the Daniel Tiger head with her lady bug costume. Do your thing, lady. I was wondering if that was supposed to be a Baby Margaret thing going on.